Yummy and delicious Barbie Doll Shape cake Design 04 for delivery anywhere in Noida, Delhi, whipped cream and special toppings! Surprise your loved ones with this lip smacking delicacy! 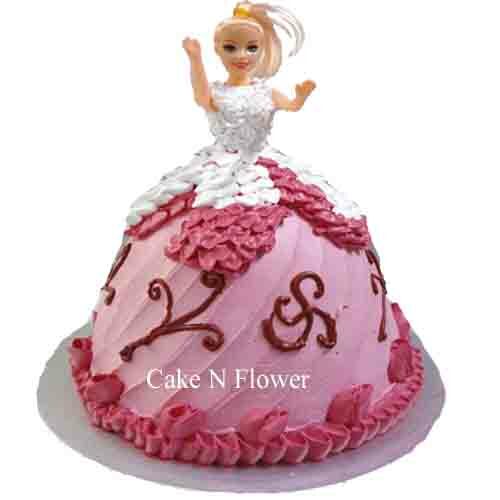 Cake N Flower provides you with home delivery of Barbie Doll Shape cake Design 04 in Greater Noida, Ghaziabad Just place the order online for Barbie Doll Shape cake Design 04 and we will deliver it the very same day. 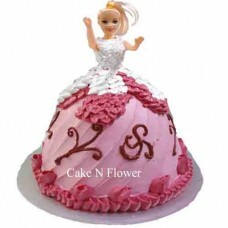 You may order Barbie Doll Shape cake Design 04 for birthdays or you may order Barbie Doll Shape cake Design 04 for Cartoon Cake.